In the last of the old days, while the virus still incubated small and soft, we went about our lives. We went to work. We bought and sold and ate and slept. Distracted by the little things, we somehow forgot big dreams. We wished we lived where we vacationed, but we did not move. We acted like our time was not finite. We fell in and out of love, heedless of the larger dramas at the edges of vision. Before the pandemic wound around the Earth and began to squeeze, we did not connect cause and consequence. We were actors on the stage of our imaginations, improvising our lines, unaware the theater was on fire. Those who did not believe in higher powers? They still believed in the illusion of tomorrow. We all thought the future would somehow be better, or at least no worse. We were blind to Entropy’s rising storm. Nature’s hammer blows were theoretical for most of us then. We did not believe in death until the hurricane made landfall. Until that nice receptionist from the doctor’s office called about a surprise, and very urgent, follow-up appointment, the threats were not personal. Danger was for other people. We didn’t know complacency was slavery. We were fairly happy in our blindness, but we didn’t even appreciate that. The Sutr plagues made us honest. We began to talk about suffering and loss and what we believed. Disease taught us compassion. Fear reminded us we were still animals, part of the food chain. We learned we are all, without exception, Time’s target. These are the lessons of the pandemic. This is your plague of days. 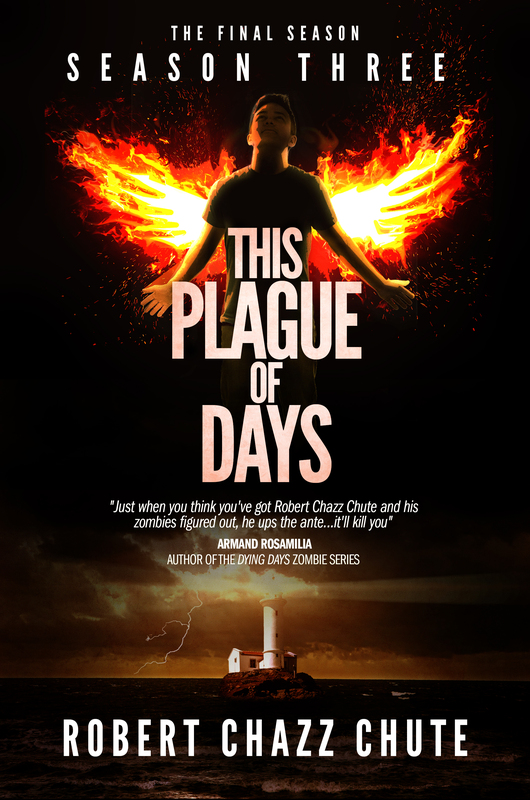 ~ This Plague of Days 3 launches on Father’s Day, as does This Plague of Days, The Complete Series. 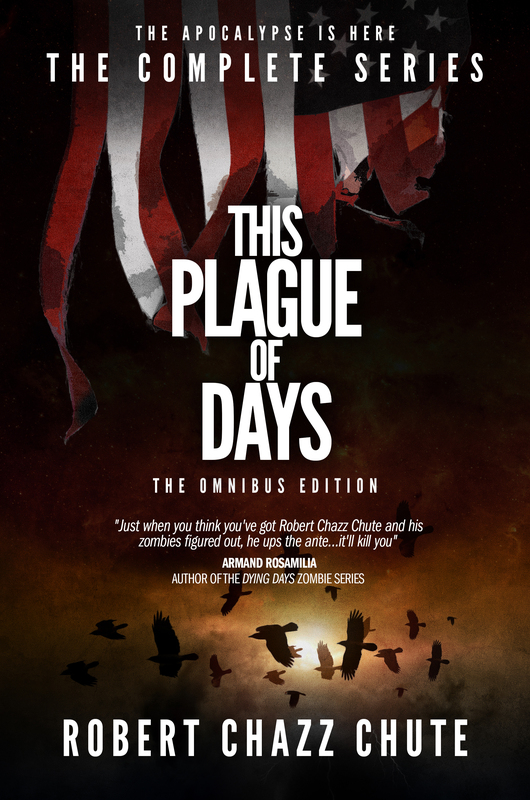 This entry was posted on Monday, June 9th, 2014 at 1:23 pm	and tagged with apocalypse, books, chazz, horror, post-apocalypse, robert chazz chute, sneak peek, suspense, This Plague of Days, TPOD, vampires, zombies and posted in apocalyptic fiction, the book, This Plague of Days. You can follow any responses to this entry through the RSS 2.0 feed.